Amidst rumours on social media that he’s close to the boot, Manchester United boss David Moyes has shot to the head of the betting to become the next Premier League manager to be handed their P45. The former Everton manager is now odds-on at 8/11 with Ladbrokes to be relieved from his duties at Old Trafford after United’s season plummeted to new depths with a 2-0 Champions League defeat to Olympiacos. Twitter in particular is awash with various claims that the Scot is heading out of the club though there is nothing concrete to back these rumours up at present. Moyes replaces West Brom manager Pepe Mel in the market who, at 5/2, was widely believed to be on the precipice himself, just six games into his role as Baggies boss. With United having surrendered their title long ago, out of both domestic cups, and in real danger of missing out on the top four, the Champions League was viewed as the Red Devils’ last bastion of hope in rescuing a desperate season. However, that 2-0 first-leg defeat to relative European minnows OIympiacos may just act as the straw that broke the camel’s back as far as Moyes’ United career goes, especially as the Scot took the blame wholly upon himself. It was a performance that smacked of a club who have hit rock bottom with a lack of cohesion on display not witnessed at the club in many decades. 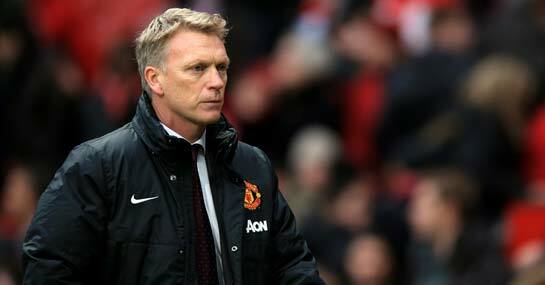 Having hand-picked Moyes as Sir Alex Ferguson’s successor it remains to been seen whether the club’s owners keep the faith and allow him to rebuild this summer, though they could not have envisaged such exasperating times as these.